Double-sided office tape is coated with removable adhesive on both sides and has no liner to deal with. Long-aging tape won't dry out or yellow. Double-sided design offers a no-mess alternative to gluing for light-duty attaching and mounting tasks. 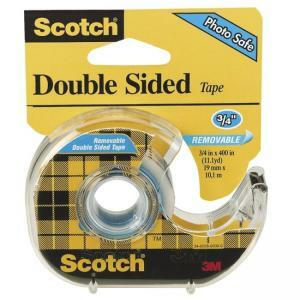 Photo-safe tape holds paper securely yet is easy to remove or reposition. Tape comes in a handheld dispenser. 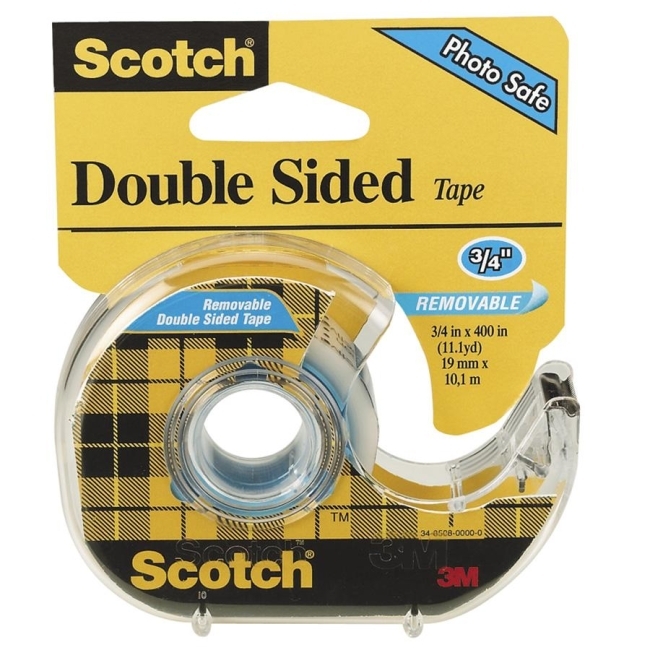 $63Scotch Magic Transparent Tape - 0.75"
$10Scotch Magic Transparent Tape - 0.50"
$19Scotch Magic Transparent Tape - Width 0.75"